Warner Brothers and DC are looking to get James Gunn locked and loaded for The Suicide Squad. The writer/director, hired back in October to rework the script for the forthcoming film from scratch, is now in talks to take the director's chair, according to a report by Deadline. 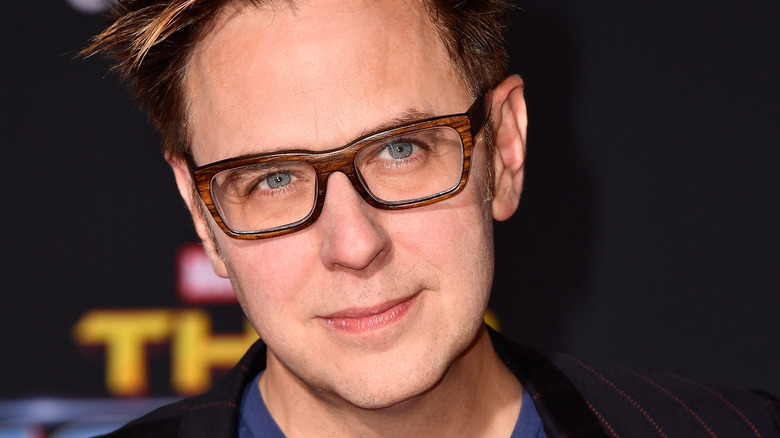 Gunn was infamously let go by Disney last year in the wake of some in-poor-taste, nearly decade-old tweets which were suddenly made public, despite the fact that his Guardians of the Galaxy and Guardians of the Galaxy Vol. 2 had combined to gross over $1.6 billion dollars at the worldwide box office on their way to becoming two of the most beloved entries in the Marvel Cinematic Universe. Gunn was quickly scooped up by Warner Brothers and given free rein to reinvent the next Suicide Squad flick in his own image, with an early draft co-written by Gotham actor Todd Stashwick being summarily scrapped. According to today's report, The Suicide Squad will be the film's official title, and it won't be so much a sequel, but a reboot featuring a new cast and characters. This seems a little counter-intuitive, given the fact that the production of Birds of Prey (and the Fantabulous Emancipation of One Harley Quinn) is in full swing. That movie will see Margot Robbie reprising her role as Harley from Suicide Squad, but that doesn't mean there isn't room for multiple cinematic interpretations of the character; after all, director Todd Phillips' Joaquin Phoenix starrer Joker is also on the way, and Jared Leto — who portrayed the Clown Prince of Crime in Suicide Squad — is also thought to be ready and waiting to revisit his version of the character, whether through a solo vehicle or a Joker/Harley team-up flick. For that matter, in comics canon, the Suicide Squad is defined by its revolving roster of characters, meaning that the new film could end up fitting the qualifications for both a sequel and a reboot (a… seboot?). There's plenty of DC lore to draw from, so perhaps this won't be some kind of alternate universe take, but will simply chronicle the adventures of a new team that exists in the same universe as the original. At any rate, the hiring of Gunn as writer and director for The Suicide Squad is essentially a no-brainer. The man took a little-known intergalactic team of heroes which included a sentient tree and a gun-toting anthropomorphic raccoon and turned them into household names; observers who swore up and down that 2014's Guardians of the Galaxy was destined to be the MCU's first flop were forced to eat their words when Gunn instead gave us a flick that has been called Star Wars for a new generation. He's definitively demonstrated his ability to take quirky, aesthetically weird characters forced into an uneasy team dynamic and spin the results into critical and box office gold, and if there's ever been a leading candidate for "best decision in regard to the DC Extended Universe Warner Brothers has ever made," this is surely it. Many fans of the comics version of the Squad felt let down by director David Ayer's first film, which was a bit of a tonal mishmash due to a mid-production course correction — reportedly in the interest of injecting more humor — which saw principal photography and reshoot footage existing in an uneasy partnership. The Suicide Squad certainly won't have that problem, considering Gunn's strongly defined sensibility as a filmmaker and deft screenwriting touch. It would be difficult to overstate the enormity of the coup Warner Brothers pulled off with this move; Marvel's loss in this case is DC's considerable gain, and comics fans of all stripes have every reason to be pumped in the extreme. The Suicide Squad is currently slated for release on August 6, 2021. We'll keep an eye out for casting news and additional details.